Mrs. Ski (Mary Skierczynski) is our First Grade Assistant Teacher; all first grade classes get to share her awesomeness. 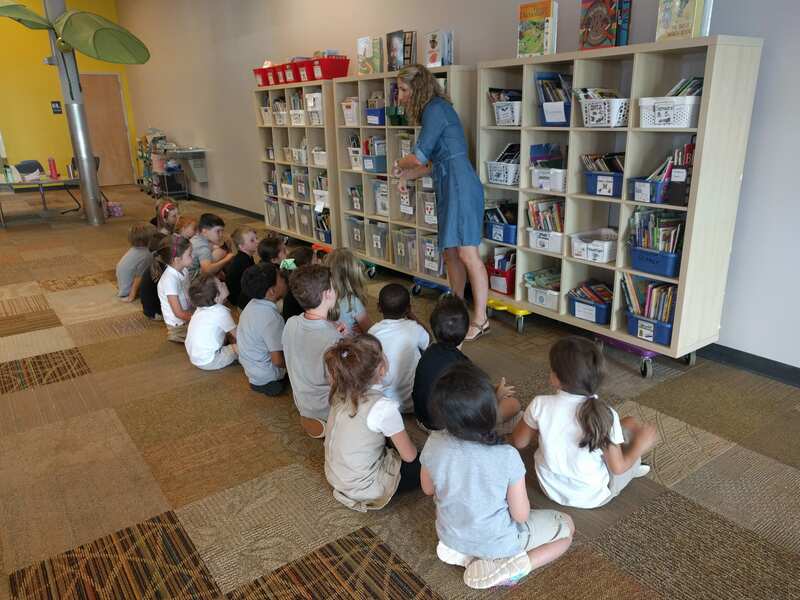 Not only does she help kiddos with our First Grade Library (seen here in the pic), but she also teaches Flex, works with small groups of kiddos, helps with assessments, substitutes in our classrooms, and helps Champions in every way possible. Collegiate Leaders and Champions adore Mrs. Ski and feel so lucky to have her on the First Grade Team. Category: Uncategorized | Comments Off on Introducing… Mrs. Ski!